Color stripping is one of the most convenient approaches for amending various shade faults during dyeing and printing processes. However, conventional stripping processes usually bring a serious risk of environment pollution. 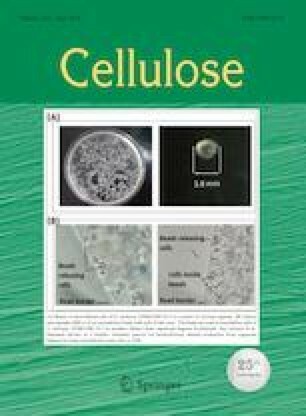 The purpose of this work is to develop a novel, sustainable and energy-conserving method for stripping of reactive-dyed cotton substrate by employing a UV/Na2S2O4 system, in which low dosage of sodium hydrosulfite (Na2S2O4) was involved and induced by UV photocatalysis at atmospheric temperature. The effects of stripping parameters such as initial pH value of working solution, temperature and stripping duration on color stripping efficiency and fabric tensile strength were investigated. The results show that the fixed reactive dyes on cotton could be efficiently stripped in the UV/Na2S2O4 system with a photocatalytic initiation and a dipped stripping manner, along with relatively high tensile strength retention by the substrate. Moreover, an optimized photocatalytic color stripping process was recommended for degradation or stripping of the fixed reactive dye molecules in cotton fibers. Furthermore, a successful application of the proposed system was also achieved for stripping a series of the Evercion/Everlight and Megafix reactive dyes fixed on cotton. 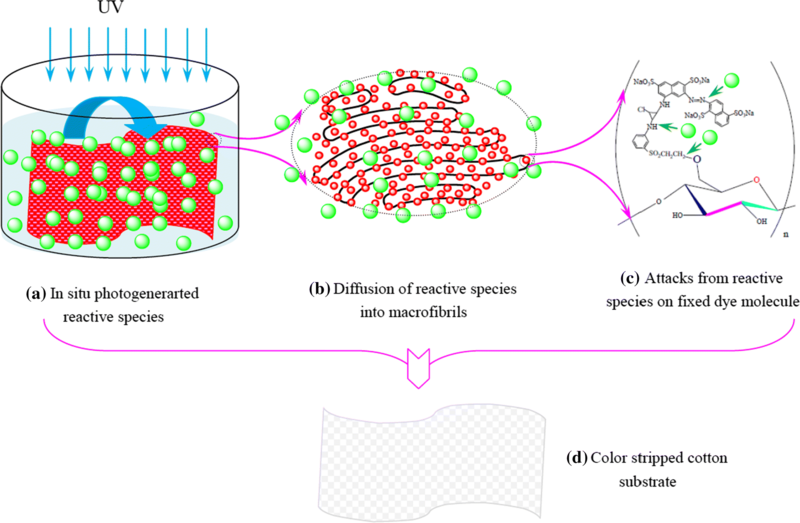 In addition, the color stripping was further successfully investigated and validated via the variations in structures and surface morphologies of the cotton fibers by utilizing Fourier transform infrared spectrometry, wide-angle X-ray diffraction and scanning electron microscopy analysis. The authors acknowledge gratefully the financial supports from the basic research for application project of Suzhou city, Jiangsu province of China (Grant No. SYG201415), the Priority Academic Program Development of Jiangsu Higher Education Institutions [PAPD] of China, and the the Academic Foundation for Undergraduate of Soochow University (Grant No. KY2018008Z, KY2018552B).